What better way to spend your vacation than in the comfort of our 3 bedroom / 2 bathroom villa, centrally located in Kissimmee and only minutes to all the attractions. A home for you and your family to enjoy, a place to escape and relax after a hectic day at the theme parks. With 5 beds our villa can easily accommodate a family of 8 persons. 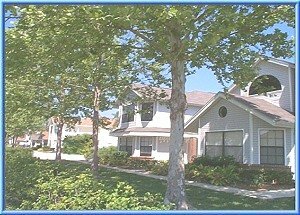 Our villa is just 10 minutes to Disney World and just off the main tourist connection HWY 192, all the action is close at hand but yet our villa is set in a quiet park like setting. Our Villa in villas at shadow bay kissimmee is also an ideal location for couples to vacation either to escape from the cold northern climes or to enjoy the many restaurants, nightlife, entertainment and shopping that is available so close at hand. 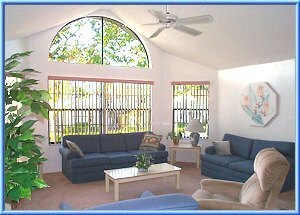 So please explore our villa and see what it has to offer you for your vacation in Florida.